Only Allah can determine the future of oil prices, said Saudi Oil Minister Ali al-Naimi, adding that neither Saudi Arabia nor OPEC can really control them anymore. 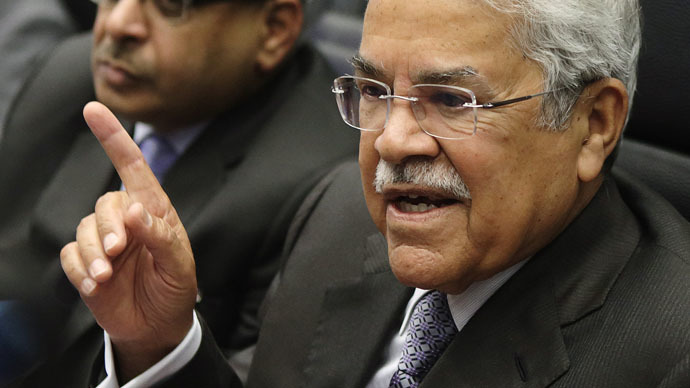 "No one can set the price of oil — it's up to Allah," al-Naimi said Tuesday in an interview with CNBC, responding to a question about whether Saudi Arabia will cut its oil production. He also said that he was not concerned over the prospects of Iran returning to the oil market if sanctions against the country are lifted. In this case, Iran would resume oil exports, triggering a fall in prices by as much as $15, according to estimates by the US Energy Information Administration. The sharp fall in oil prices started in July 2014, when a barrel of Brent crude oil cost $114. By January, oil prices had more than halved, reaching a six-year low due to an oversupply in the global market. However, in recent weeks oil prices have seen a notable recovery. On Monday the price of Brent crude reached its highest in 2015, surpassing $67 per barrel.